Upgrading your technology for a more efficient business can be a daunting task—especially when you are researching enterprise applications that have both an on-premises (private cloud) and a cloud option. Many solutions offer the same great results from either option, but how you get there is a whole different story. However, there are other things to consider before migrating to the cloud. Many on-premises (private cloud) solutions can offer most of the same functionality on a dedicated server. What Does Your IT Infrastructure Include? Review your technology roadmap and determine your time frame for updating the current infrastructure, as well as future bandwidth requirements. Cloud computing enables small to medium businesses to benefit from enterprise-class technology to manage complex document sharing, security and collaboration seamlessly without the hassle of managing costly servers and upgrades. With more and more people using their own mobile devices to collaborate at work (also known as BYOD) you need to make sure your data is secure and accessible. Cloud-based solutions don’t require any internal servers, but may require state-of-the-art PCs and other devices to meet the requirements for gaining access to data quickly and securely. Factor in the time and expense of these upgrades. Establish data acquisition policies and communicate with employees about which devices (e.g., smartphones, tablets, laptops) may be used for work applications so data is not compromised. What Will Be the Total Cost of Ownership? Evaluate your ongoing cost of ownership including licensing fees, maintenance and support costs, implementation costs, wiring, etc. 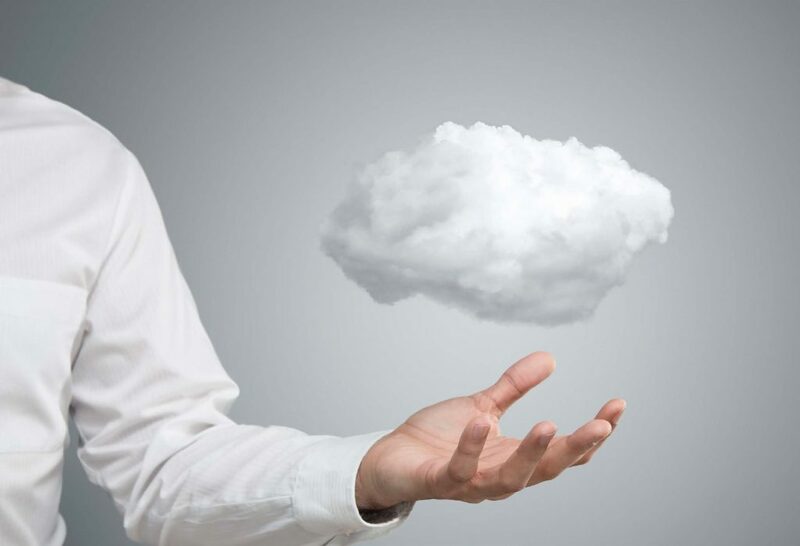 Sometimes moving to the cloud may seem like an additional, recurring expense to consider, until you consider the cost of maintaining a system in-house, or having to upgrade to a new system. What Is Your Business Continuity and Disaster Recovery Plan? When businesses move to the cloud it reduces the need for a complex disaster recovery plan. A recent report from Microsoft found that 94% of small and midsized businesses (SMBs) have experienced security benefits with the cloud, including up-to-date systems, virus protection and spam e-mail management. 96% that use the cloud are confident their cloud provider can quickly and effectively restore service during an outage. As an additional benefit of the cloud, the time required to recover from any downtime event is four times faster for cloud users than non-users. Some companies are now looking at the cloud as a fail-over option for an in-house server as additional protection. Data is fully redundant with copies stored on multiple servers. No matter what happens to the physical location of your enterprise, you can still access your documents remotely and keep your business running. As with any platform change, there are benefits and risks. Making sure you are aware of all of the related costs, risks and rewards with any system is the best place to start. Top companies are now offering innovative solutions for business process improvement (BPI) and enterprise resource planning (ERP) with integration options for existing systems to help you manage your business more efficiently—from back office to customer service.